In Irish Celtic lore, “thin places” are those locales where the veil between this world and the otherworld is porous, where there is mystery in the landscape. The earth takes on the hue of the sacred among peoples whose connection to place has remained unbroken through the ages. What happens, then, when a Celtic view of nature is brought home to a North American landscape in which many inhabitants’ ancestral connections to place are surface-thin? 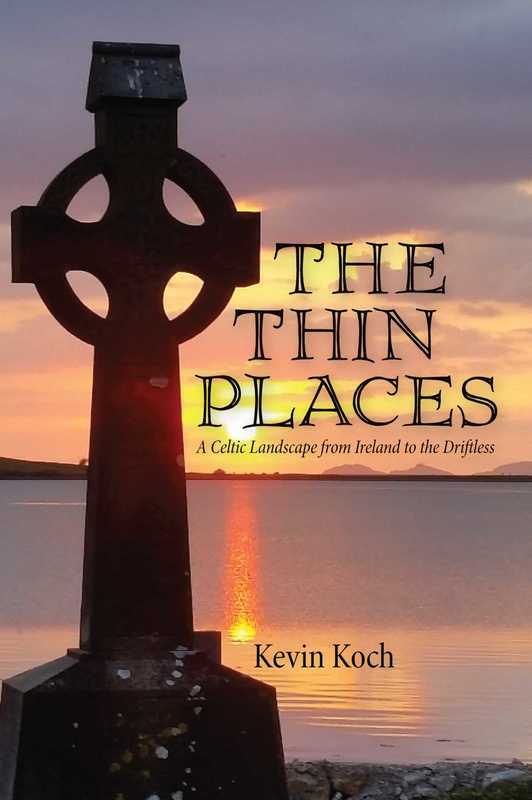 In a quest to find a deeper spiritual landscape in his own home, Kevin Koch applies eight principles of a Celtic spiritual view of nature to places in Ireland and to the American Midwest’s rugged Driftless Area, an unglaciated region of river bluffs, rock outcrops, and steeply wooded hills. The Thin Places brings on-site mountaineering guides, spiritual leaders, geologists, and archaeologists alongside scholars in the fields of Celtic studies, religion, and conservation. But the text never strays far from story, from a trek through the Wicklow Mountains and the bogs of Western Ireland or among ancient Native American burial mounds and abandoned nineteenth-century lead mines in the bluffs above the Mississippi River.